To be a unique chain store that provides customers an unusual shopping experience. “Sometimes fun, always trendy, with something cool, plus a little bit of chic which surprise you.” This is an ideal combination of a store, it’s what we bearing in mind and going to achieve for you. 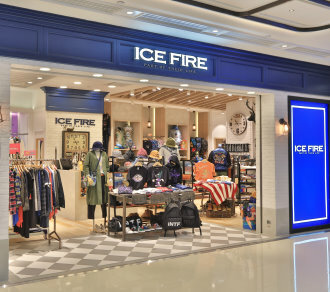 Founded in 1982, ICE FIRE is a Hong Kong based retailing chain store, and it was initiated the youth fashion industry in Hong Kong. As a pioneer of Japan fashion retailer, leads Japanese and American brands into this market, enhancing customers the sense of high quality American Causal clothing.